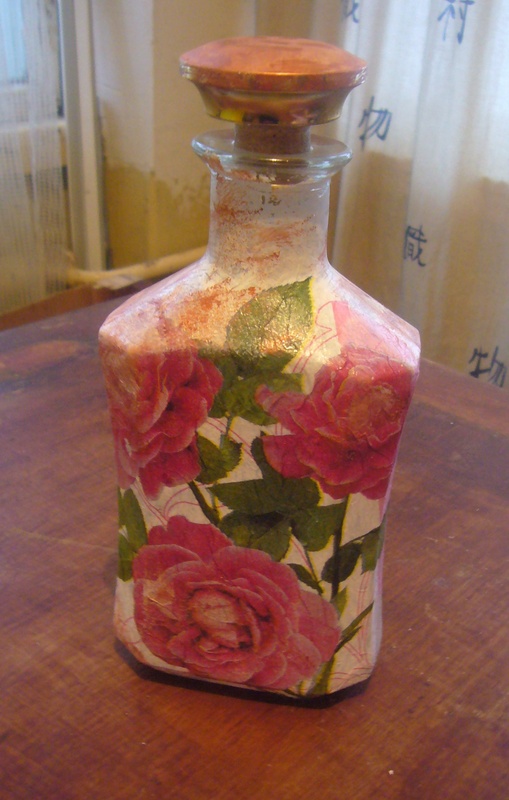 This is another one of my decoupage bottle projects. I simply love nice bottles and it’s a pity to throw them away. 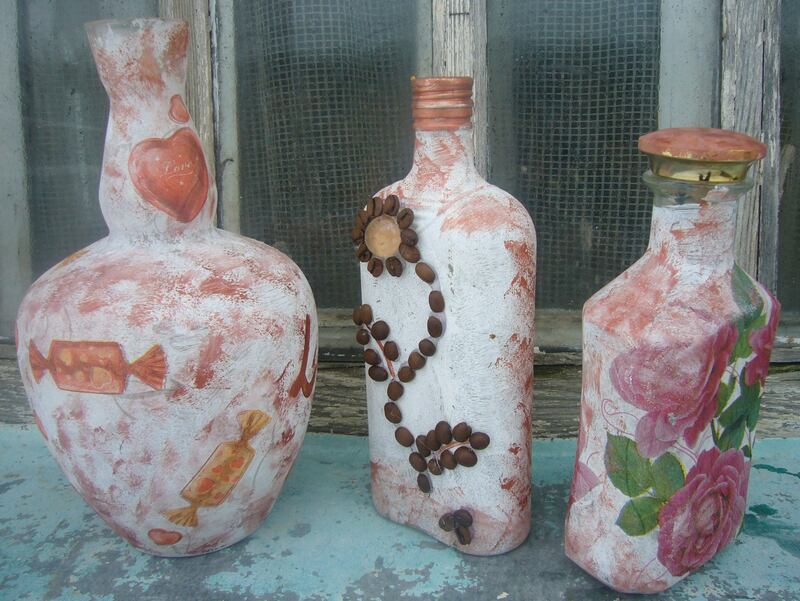 Decoupage gives them new life and allows you to make treasures from the trash. 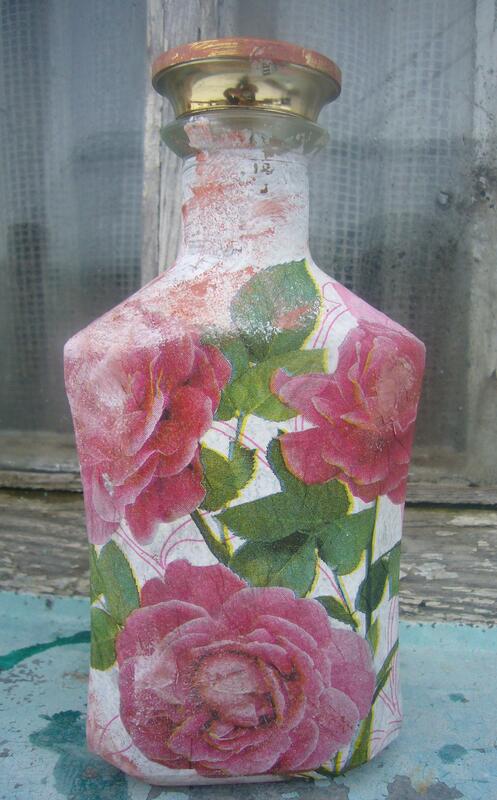 This is a thick glass bottle decoupaged with pink roses. One may use it as a vase or as a cooking oil bottle. Or you may pour or wine into it for some special occasion such as Valentine day to create unique table design. It’s a nice glass bottle decoupage idea. This entry was posted in Crafting Tutorials, Decoupage ideas, Uncategorized and tagged crafts, creativity, decoupage, decoupage how to, decoupage idea, decoupage tips, DIY, glass bottle decoupage, green living, home decor, home design, recycled crafts, upcycling. Bookmark the permalink.